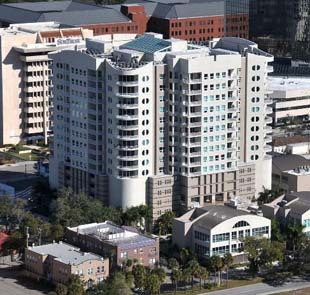 Rivo at Ringling is a new condominium in Sarasota, Florida, that has generated a considerable wave of interest in the Sarasota real estate market. This enthusiasm stems mainly from the condo’s grand location at 1771 Ringling Blvd. 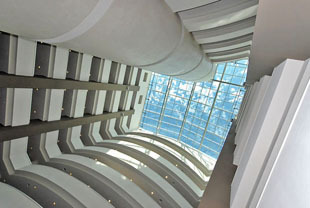 which is instantly captured in the property’s corporate identity. Choosing to go for a sales-listed Rivo at Ringling penthouse can entail negotiating around a starting price of $1.6 million. A similar spacious residence with some 3,400 square feet of floor space, three bedrooms and three baths can carry a tag price in the $900s. Typical Rivo at Ringling condos for sale having floor areas of about 1,500 square feet, two bedrooms and two bathrooms can have asking prices in the low $500s. Though coming in varying price levels, Rivo at Ringling condos for sale are all well-designed with large windows and high ceilings that foster a spacious, airy, and bright home environment. All have terraces too for the condo residents to better appreciate the awesome views of the impressive skyline of the city. 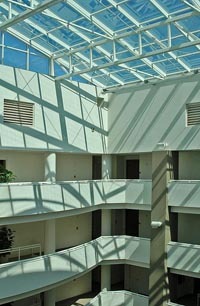 The refreshing ambiance at Rivo at Ringling is further enhanced by a garden atrium at the heart of the condo complex. A rich collection of amenities are available to the residents, among which are social and conference rooms, a swimming pool with sundeck, and a modern fitness center. Reserved parking for the residents is quite ample at the building’s first five floors. Truly, the residents of Rivo at Ringling don’t have to bother with much driving to go and savor the various points of interest in Sarasota City. Their community is right within the downtown area, and many fabulous centers for shopping and entertainment are just walking distance from the condo. Among these venues are the Regal Cinemas Hollywood Stadium. Fine restaurants in the area are as plentiful and counting among them are the Mattison’s City Grille and the Hyde Park Steak House. Glorious choices for leisurely pursuits are also but a few minutes away. These include the charming Payne Park nearby and the Bayfront park. All of these brim with options for both land and water-based activities that can surely add further interest to the Rivo at Ringling and the greater Sarasota Fl real estate market.